See service advisor for details. Upgrade to full synthetic for $40 more. Price plus tax & disposal fee. Additional charges may be applied for engines with oil capacity that exceeds 5 quarts.Excludes Hemi engines. Includes: Inspect fluid levels, check steering, suspension, wiper blades, exhaust, undercarriage, belts and hoses. Plus tax, if applicable. See service advisor for details. Price plus tax & disposal fee. 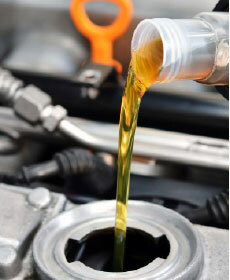 Additional charges may be applied for engines with oil capacity that exceeds 5 quarts. We will inspect all modules for software flashed that can improve the performance and correct minor bugs in the system. The first three flashes required can be completed for $115.95. Any additional flashes will be $55.95 per flash. Some vehicles have a higher cost depending on the flash required. Service Advisor can inform at the time of the write up. At Herb Chambers Chrysler Dodge Jeep Ram FIAT of Danvers, we work every day to ensure that your new sedan, SUV or truck retains its like-new condition throughout countless miles of daily driving. That's why we encourage you to enlist our Service Center for your maintenance and repair needs around Boston, Lowell, Woburn and Danvers, MA. Don't leave your prized ride to just any mechanic or service center when you have our highly-skilled technicians at your disposal. We're staffed by expert service technicians that know the ins and outs of your new Chrysler, Dodge, Jeep, RAM, or FIAT model. 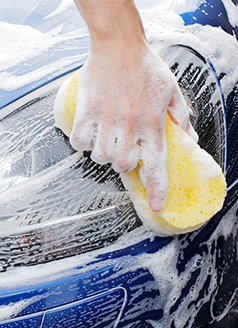 We'll work diligently to perform the necessary maintenance or repairs to get you back on the road in no time at all! Our Service Center is fully-equipped to provide essential car services such as oil changes, tire rotations and alignment, brake repairs, check engine light diagnosis, state inspection and beyond. Of course, there's no denying that routine maintenance is the only way to keep your car looking and driving just like the day you brought it home! Fortunately for you, it doesn't have to cost a pretty penny to repair or service your car with us! As shown on this page, we currently offer a rotating selection of Service Specials that let you save on service without compromising quality! 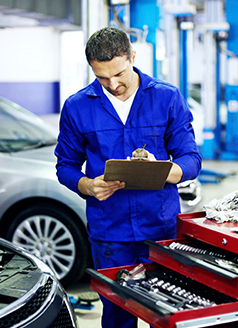 So, are you ready to repair or service your car with the best? Then, just take moment to schedule a service appointment online before dropping your car off at our Service Center in Danvers, MA. We'll take care of the rest!